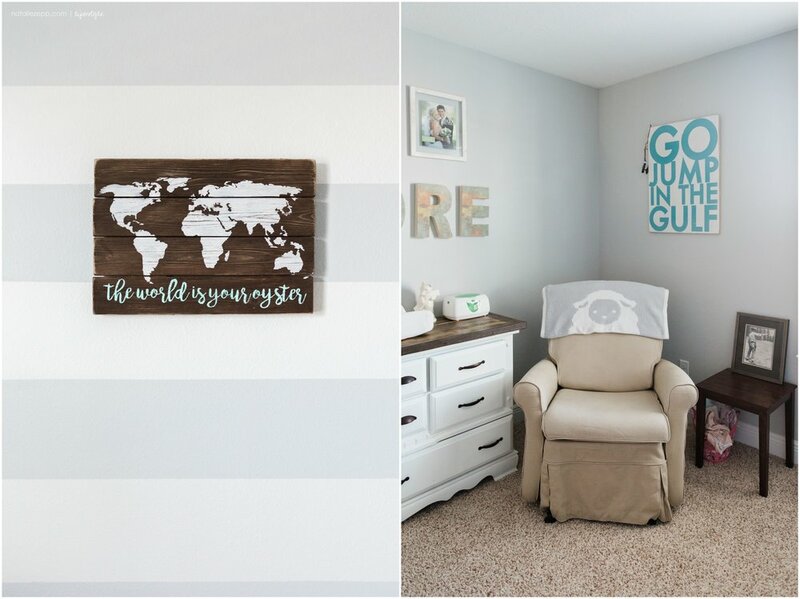 Latham's neutral, travel themed nursery is the stuff my photography dreams are made of. Clean, simple, gray walls. Can I just tell you how much I LOVE gray walls (white was too!)? They make colors and skin tones so perfect, and give indoor images such a bright, airy feel. 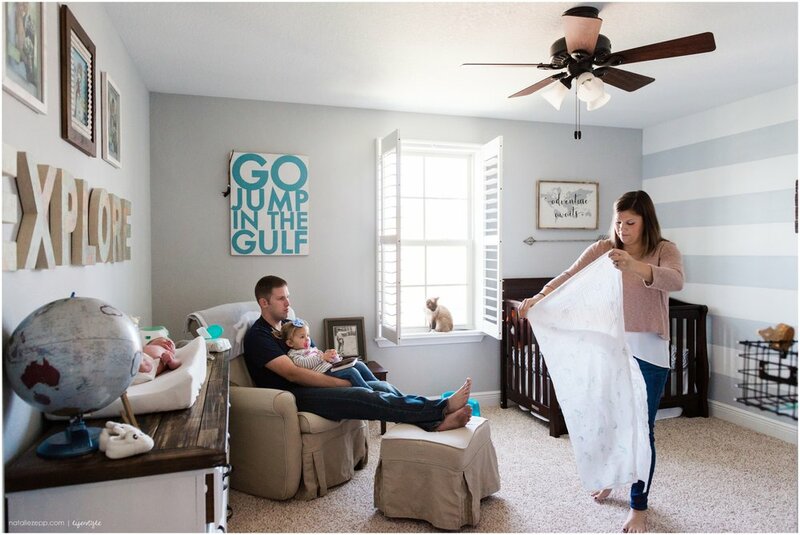 I also love how the nursery decor reflects their family's passion for travel. 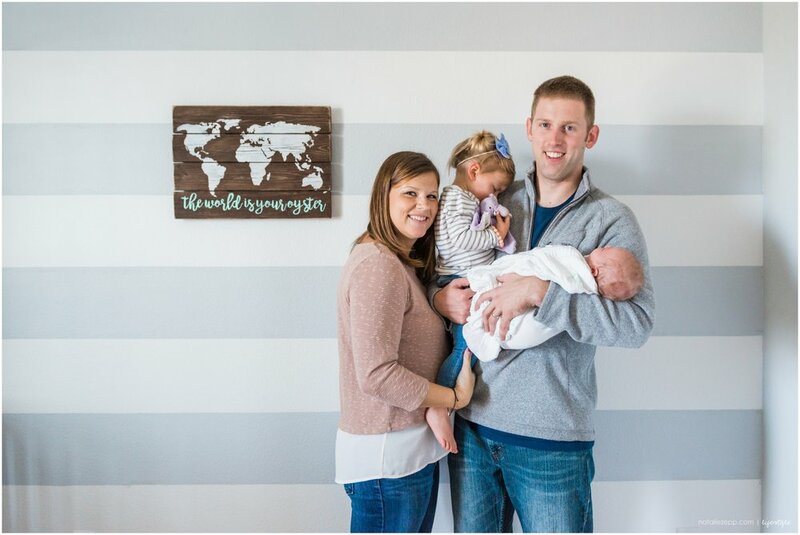 Jimmy and Tavia are travel bloggers, and their blog, Big Brave Nomad, is all about traveling with kids. 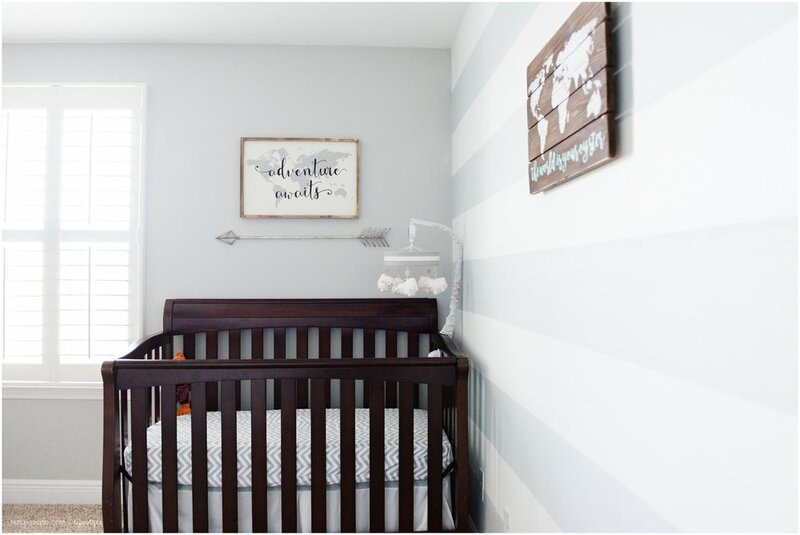 A lifestyle nursery for our lifestyle newborn session? YES PLEASE! Check out the highlights and watch the slideshow at the end of the post! Latham was easy-peasy. He snoozed pretty much our entire session. Big sister Charletta, was more challenging and not interested in pictures (or baby brother) at all. Jimmy and Tavia did a picture perfect job managing this. They kept their cool, focused on the baby, playing, and having fun. Most importantly, they didn't try to cajole her into pictures. The resulting images capture so much of her spunky little personality. Eventually she came around and gave us one or two sweet moments with Latham. And, of course, she was ALL IN for shots with those wonderful cookies, made by an incredibly talented friend. Press play below for even more of this sweet family. And stay tuned, because I also shot Latham's birth...and it was epic. Tavia asked me for the newborn session first, so we're breaking all the rules and going out of order. Don't forget to leave a comment below to help Tavia and Jimmy earn a FREE 8X10 mounted print from their session (a $40.00 value). 50 commenters are needed for a freebie.